In Moscow a large number of modern maternity hospitals. But this diversity presents a natural problem: how to choose the best one? In this issue to help young mums come the annual rankings of hospitals that allow you to find the best institution for the year. Every year rankings of hospitals with the aim to learn the best. This is necessary primarily for the medical institutions themselves, in order to optimize and improve their work, to identify possible problems and resolve them. For expectant mothers, these ratings help you see the picture of what is happening in the hospital, to identify the specialization of the hospital, learn what services does the health facility. The ratings of the hospitals are made according to several criteria, the system displays the average score, which determines the top ten winners. The ratings are made on responses of women who gave birth in a particular hospital. Leave your opinion about the hospital can be at specialized sites. The testimony during the two semesters can be radically changed. Yes, this information can be somewhat biased but overall picture of what is happening in the hospital it shows. There are official statistics, which are themselves the hospital. It indicates the number of received for year of birth, number of births (may be specified and mortality) and other information. Such information can be found on the official website of the medical facility. What criteria is the information about the hospital. On a five-point system evaluates the conditions of the hospital in a number of criteria, and then displays the average score. Estimated prenatal care (prenatal care by a doctor, stay in the Department of pathology), childbirth (redblock, equipment), postpartum stay (house, feeding, newborn care), medical personnel ( obstetrician-gynecologist, pediatrician, etc. ), the children's Department ( ICU procedures). Also, there is some information on childbirth on the contract or commercial establishments. 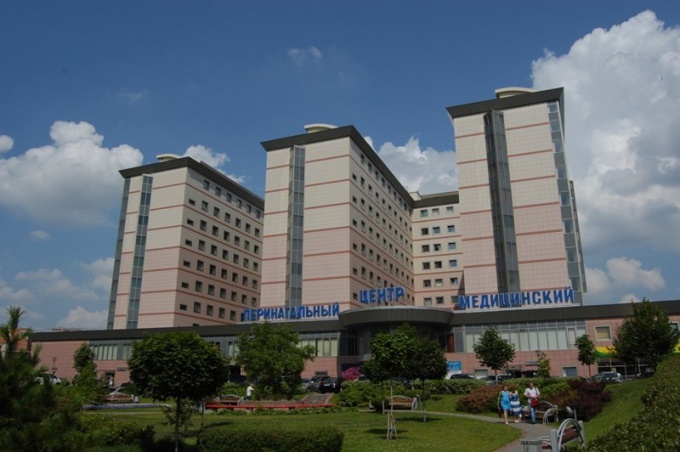 In the first half of 2014 the top ten best hospitals hit Moscow perinatal center – a commercial facility (average rating 5) where childbirth is only possible on a contract basis. But it is equipped with the most modern equipment and employs doctors of the highest category and can obtain the full range of services from pregnancy to children's hospital. The other "expensive" hospital - at TSKB as traditionally tops the rankings. But this is not surprising – it boasts well-equipped facilities and excellent doctors, and the cost of the contract for delivery in this below. Among public medical institutions of Moscow enjoys a good reputation the hospital No. 20(average rating 4) . There parous women particularly note the good attitude of the medical staff, doctors are very helpful and attentive, despite the workload of the hospital. The center for family planning and reproduction on Sevastopol Avenue (average rating of 4.8) gets into the top ten thanks to a large spectrum of services. There are post-Natal branch of the family, when the relatives (husband, mother) can be with a new mommy and baby around the clock. Maternity hospital No. 25 (average rating 4) in the South-West of Moscow was awarded the International prize "Hospital baby-friendly". And all because the hospital recorded an extremely low rate of infant and perinatal mortality and has all the necessary equipment for pediatric resuscitation and care of newborns.